‘The appellant (Mallya) has five business days to apply for oral consideration. If a renewal application is made, it will be listed before a high court judge and dealt with at a hearing,’ a spokesperson for the UK judiciary said. 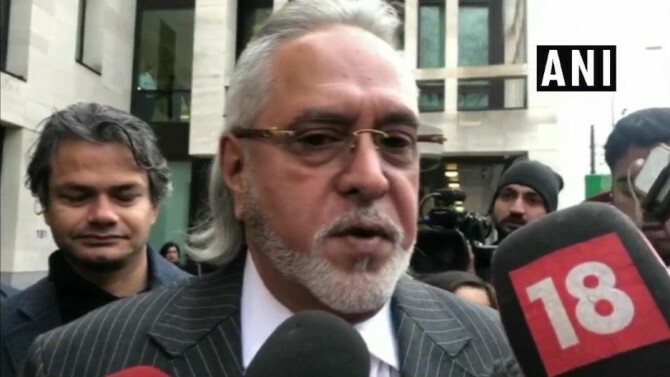 The renewal process will lead to a brief oral hearing during which Mallya's legal team and the Crown Prosecution Service -- on behalf of the Indian government -- will renew their respective claims for and against an appeal for a judge to determine if it can proceed to a full hearing. However, a consortium of 13 Indian banks led by State Bank of India did not agree to his offer as they seek access to nearly 260,000 pounds in an ICICI Bank current account in his name in London. The judge in that case, Master David Cook, has reserved his judgment on an interim court order and is expected to pronounce his final ruling in the coming weeks. "Dr Mallya continues to do all he can to support a court process in India, which should see creditors paid off in full," said Jonathan Isaacs, partner at DWF Law LLP -- the firm representing Mallya in the case against the Indian banks related to a worldwide freezing order. India and the UK have an extradition treaty signed in 1992 and in force since November 1993. So far only one successful extradition has taken place from the UK to India under the treaty -- that of Samirbhai Vinubhai Patel, who was sent back to India in 2016 to face trial in connection with his involvement in the post-Godhra riots of 2002.